Beautiful Incentives: Looking for affordable Back to School clothing and accessories? Looking for affordable Back to School clothing and accessories? I have found some of the best stores online that carry the cutest most cheapest clothing and accessories I have ever seen. Especially their bags and clothing. If you are on a tight budget going back to school, this is the place for you! This week I will be sharing a series of places to shop for back to school so you can save a ton of money. I know what it's like to struggle with a very small budget and I am going to make it a lot easier for you to find what you need. Don't pay full price for anything! These prices are LOW, but even more so, they go on sale for even LOWER! Kicking off the school year, why not get a snazzy new outfit that I guarantee no one else has. Or maybe you're looking for that perfect bag that holds everything? Here are a few suggestions I think you'll love! 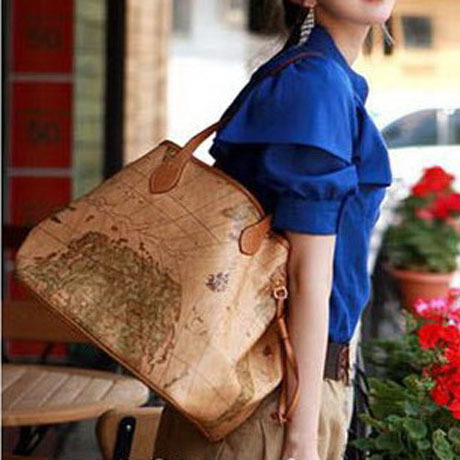 Show off your love of traveling and learning about the world with this adorable full sized map bag. It's perfect for text book carrying and it's only $8.37! How about a cute sweater for your first day? Grays are so pretty and I love this slightly off the shoulder look. Pair this long sweater with some black tights and a cute accessory like this adorable mustache necklace on sale for only $1.52 and you are looking sharp, my friend! Check out their Amazing discount section! They are having a big 30% off discount on a lot of their dresses right now! 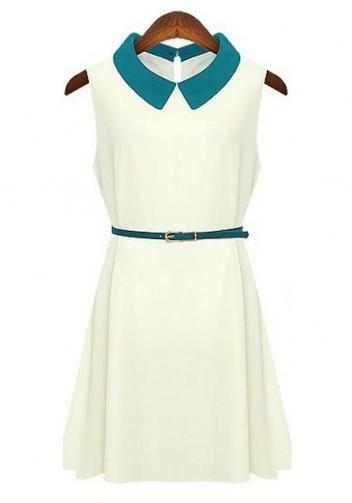 How cute is this school girl retro dress for only $12!! It comes in other colors too! These are just some of the amazing deals you can get for so cheap at this store!